New Era Provides plethora of opportunities to the students to express themselves and excel themselves in their chosen field. There are clubs varying from book lovers club to environment club. Students can choose from the range of activities. One must understand the difference between classroom science activity and science club. 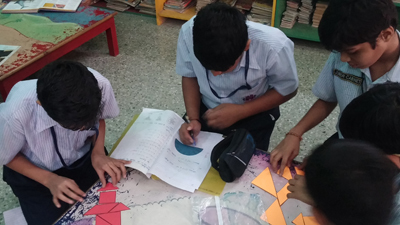 Where classroom science activities focus on syllabus topics which are taught in mode of learning by doing. 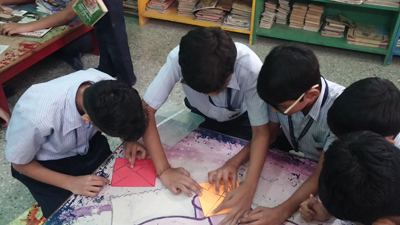 Science club activity remains independent of syllabus. A student is able to rich beyond the text book and explores the world of science. A student can decide on any topic that she/ he would like to explore. Book lovers' club gives platform to the book lovers to talk about a book that she/he has liked. They learn to express themselves, become articulate, start to read if they are not readers. They discuss authors' styles of writing, appreciate poetry and have group discussions on literary skills of writers. New Era also has Interact and Early act clubs and the club members have taken rapid strides to ensure that they do their bit to social welfare. They have conducted sports day in a municipal school. They have collected pencils, notebooks etc. and given them to the municipal school students. They went another mile and taught those kids to make scientific toys. One must see how interesting these club activities are for seeing is believing!